HP Printer Print, Scan and Fax Drivers for Linux Operating System. HP Delivers Linux Imaging and Printing software (HPLIP). The Linux system already has the HPLIP software installed it's because all major Linux distributions regularly pick up the HPLIP software and distribution installation. However, if it is not installed or you need to upgrade to a newer HPLIP version to support your printer, you've come to the right place. 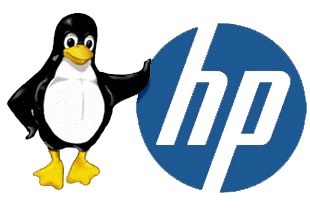 HP Printer Drivers and HPLIP sofware for Linux can be download on this website which it supports 2.729 HP printers on nearly any Linux distribution available today. In addition, you can also find answers to many of your questions with a search of our knowledge base, or post a question on the Get Help page if you can't find the answer directly. HPLIP DOWNLOADS are available as an Automatic Installer package and as a Manual Install package. We recommend that most users use the Automatic Installer (provided your Linux distribution is supported by this method). If your distribution is not supported by the Automatic Installer, you will need to perform a manual install.